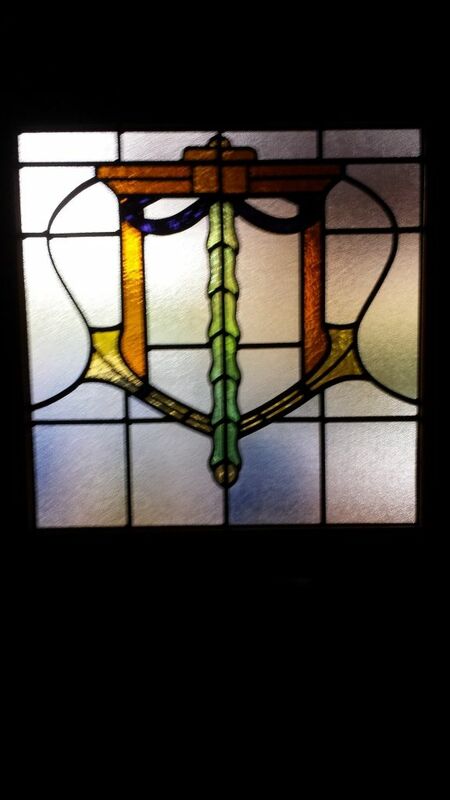 We hope that everyone is having a lovely Autumn. 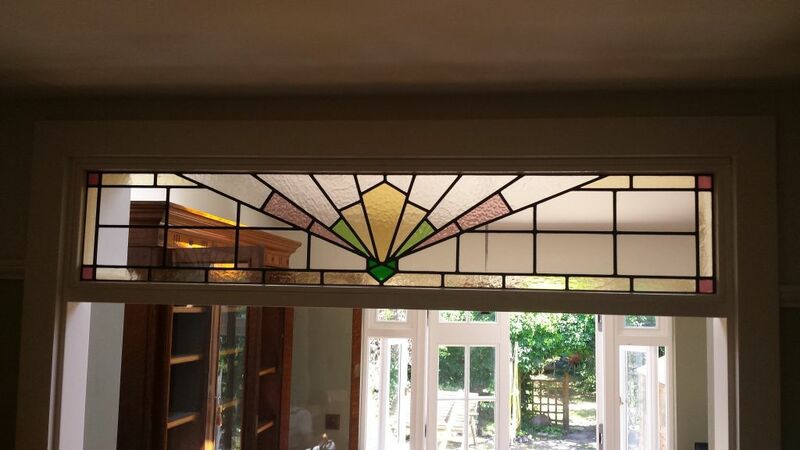 Here at Coriander Stained Glass we have been working on some very interesting projects, including this beautiful Charles Rennie Mackintosh inspired stained glass window. 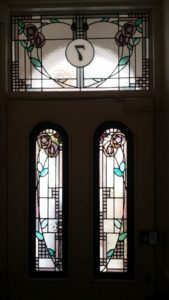 Charles Rennie Mackintosh was an architect, designer and artist born in Glasgow, who is also well known for his designs of stained glass. 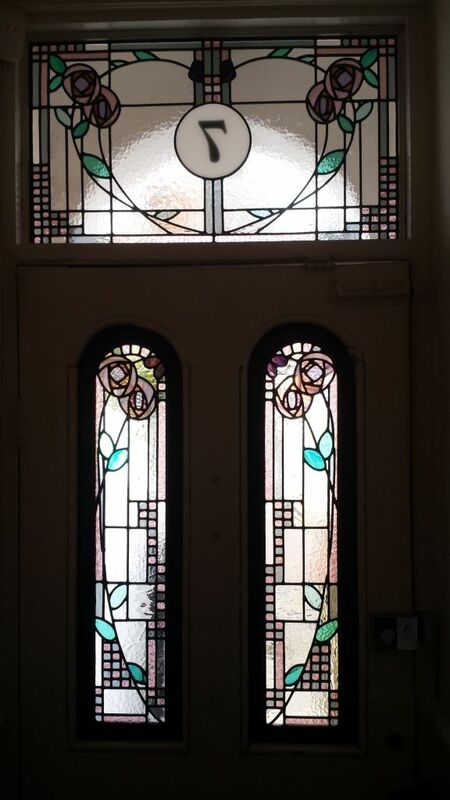 Mackintosh is known for his masterpiece, the Glasgow School of Art (GSA) and his decorative floral designs. 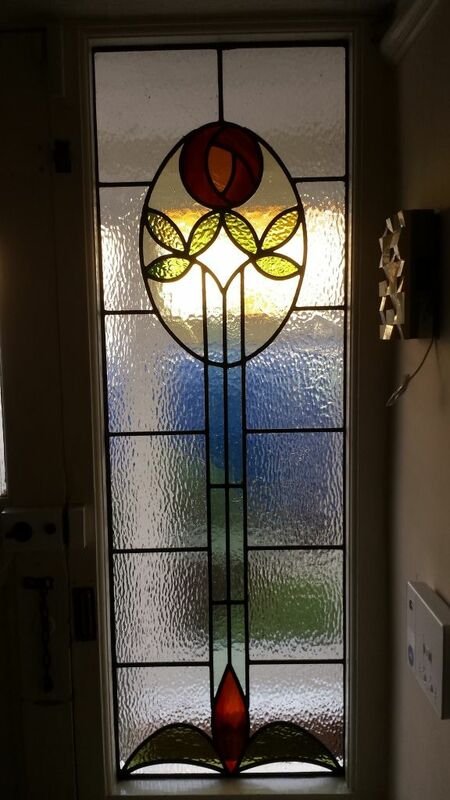 Our stained glass design combines the background geometric rectangles of different proportions with the curving stem and typical Mackintosh rose features. 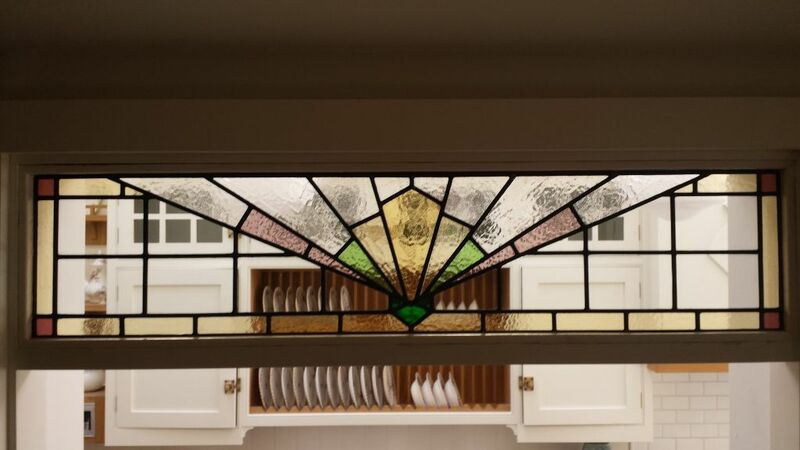 The glass colours and textures we have used on this design are contemporary, creating a fabulous looking front entrance to this London period home. 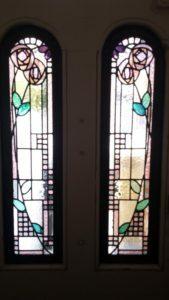 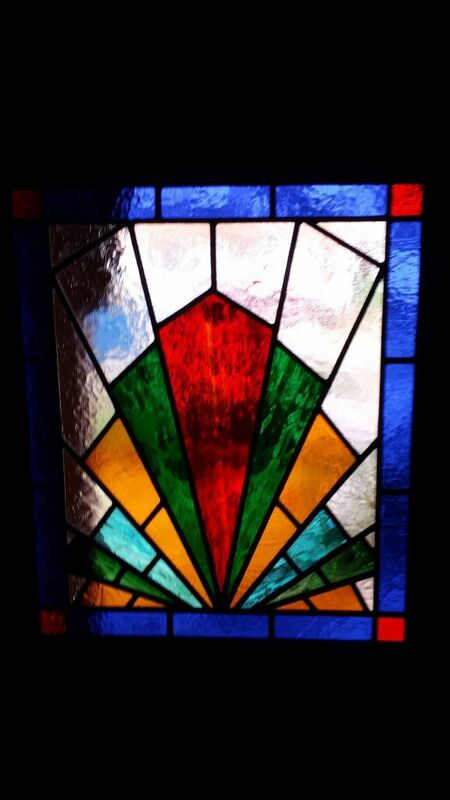 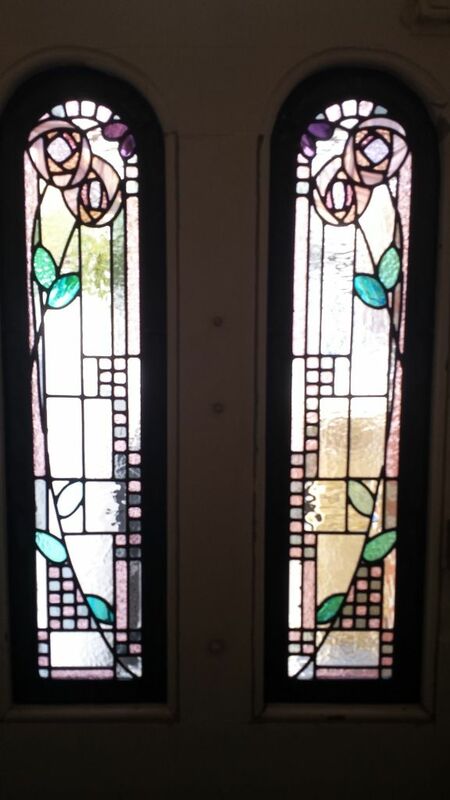 To view more stained glass like this, please visit our Edwardian/Art Nouveau Stained Glass gallery or our Art Deco/1930’s Stained Glass gallery.